WoodStock Folk Rock is no longer playing. All true rock fans will rejoice when they see the Lennon Cathcart Trio for their performance of Woodstock Folk Rock, an authentic folk rock music extravaganza! This two-hour production reminds fans of the legendary Woodstock concert, which all rock fans will agree was one of the most significant events in the history of music. The Lennon Cathcart Trio will lead this folk rock tribute, showcasing their tremendous talents and sensational presentation of Woodstock-style music. 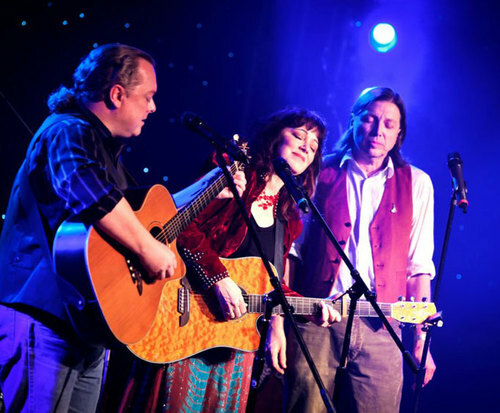 Respected Branson musical artists Gail Lennon, Mike Cathcart, and Bill Lennon will give you a great show with songs from artists like Bob Dylan, Paul Simon, James Taylor, and Crosby, Stills & Nash. This show features true music professionals Bill and Gail Lennon and nephew Mike Cathcart. Brother to the famous Lennon Sisters, Bill was the lead singer and producer of the sisters' sibling act and the Lennon Brothers, and his wife Gail was a top singer in Los Angeles before she moved to Branson. Both together and apart, Bill and Gail Lennon have impressed their audiences with their fantastic vocals. Their nephew Mike Cathcart, whose mother is Peggy Lennon, is one of Branson's best vocalists. Talented with the piano, guitar, and chromatic harmonica, Mike has performed countless times around the world. 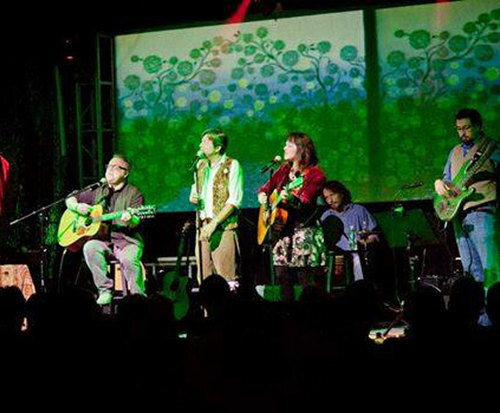 These spectacular performers lead Woodstock Folk Rock and its audiences through a unique show, creating a fantastic entertainment experience for the masses. If you love the legendary rock music of the Woodstock era, this family-friendly show is perfect for you!